A guest post from Lauren Holden. “So, tell me more about your inspiration for Plankton Portraits,” I asked the man responsible for bringing this intriguing exhibition to Lancaster’s Maritime Museum. “Errr, plankton,” he swiftly replied, before adding, rather rudely: “What a stupid thing to ask!”. Admittedly, I might have worded the question a little differently, but I was fairly new to my role as reporter at Morecambe’s The Visitor newspaper and I was still learning my trade. Just then, something my wise old dad told me during my years serving meals to the sometimes less-than-polite punters in a well-known restaurant chain popped into my head. Even, it would seem, when you’re doing him a favour – and promoting the event he’s hoping will draw in a sizeable local crowd. 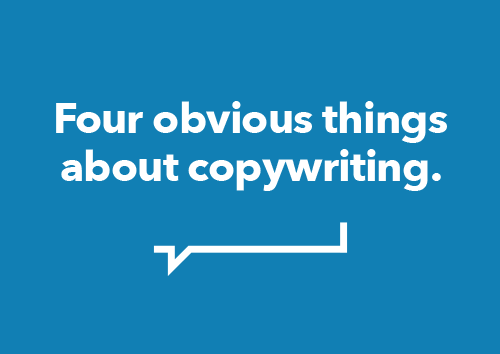 It’s the same when you’re interviewing copywriting clients for case studies, or getting to know a person so you can get to know their brand. So, just how do you get the most out of an interviewee, a subject for a newspaper piece or a copywriting client?